Matthew Klingle, a fourth-generation Westerner, was born and raised in Salt Lake City, Utah. A historian of the United States, his research and teaching focus on the North American West, environmental history, urban history, social and cultural history, and the history of science, technology, and medicine. He is the author of Emerald City: An Environmental History of Seattle (Yale, 2007), which received the biennial 2009 Ray Allen Billington Prize for the best book in American frontier history from the Organization of American Historians. He has also written numerous scholarly articles, contributions to anthologies, general audience essays, and book reviews. Klingle has received fellowships and awards for his work from the Andrew W. Mellon Foundation, American Council of Learned Societies, National Endowment for the Humanities, U.S. Environmental Protection Agency, National Science Foundation, Rachel Carson Center for Environment and Society at Ludwig-Maximilian University-Munich, Organization of American Historians, American Society for Environmental History, Urban History Association, and Western History Association. 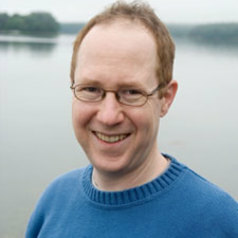 He also held a national fellowship in 2002-04 from the Environmental Leadership Program, a nationwide organization training emerging leaders from wide-ranging social and professional backgrounds to promote greater diversity in the environmental movement, and later served on the ELP board of directors. In 2006 he received the Sydney B. Karofsky Prize, Bowdoin's annual teaching prize for junior faculty.